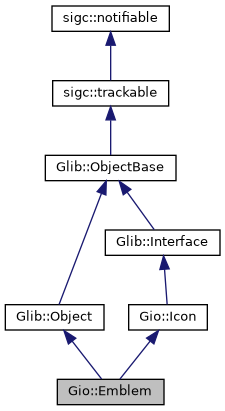 Emblem is an implementation of GIcon that supports having an emblem, which is an icon with additional properties. It can than be added to a EmblemedIcon. icon A Gio::Icon containing the icon. A Icon. The returned object belongs to the emblem and should not be modified or freed. The origin of the emblem.